A look back at the ups and downs of the veteran politician's life. Note: This personal tribute was originally written for a souvenir brought out by the Hind Mazdoor Kisan Panchayat (HMKP) to mark George Fernandes’s 88th birthday, June 3, 2018, and is republished here with their permission, on the occasion of his death today. 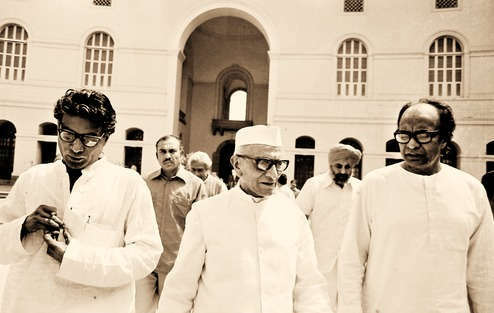 George Fernandes first entered my life when I was six or seven years old, as a cause of envy. For, when he once came to Delhi, my father took my brother Niranjan to see him, leaving me behind. His signature scripted in Devanagari in my brother’s autograph book was a daily reminder of the exclusion. But I did come to know George eventually, a privilege that I owe to my father K.G. Ramakrishnan, a lifelong socialist who had participated in the 1942 Quit India movement. 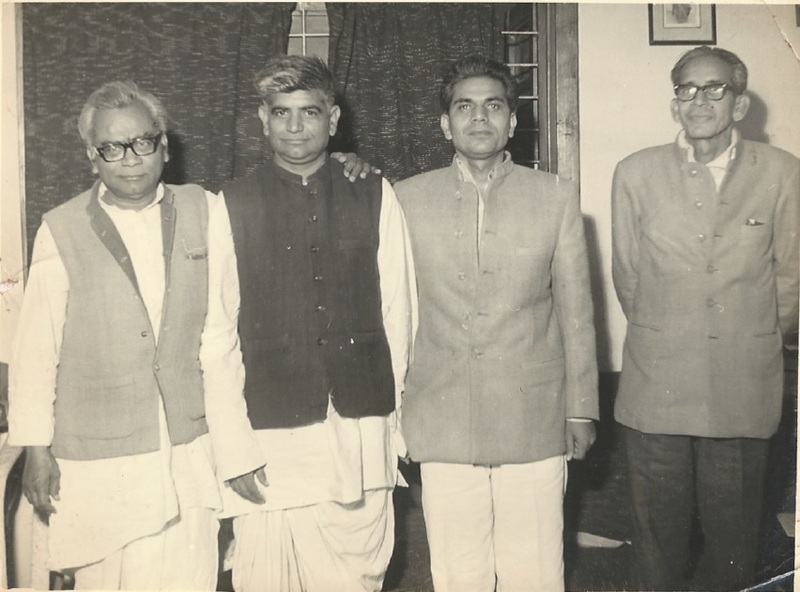 A friend and admirer of Ram Manohar Lohia, my father attributed the emerging relevance of George Fernandes in Indian politics to the genius of the great Doctor Sahib as much as to Fernandes’s own array of talents. The secret of success lies not only in knowing how to lead, but also in knowing how to be led, as Fernandes’s equation – first with Placid D’Mello and then with Lohia – would bear out. The socialist pantheon in the ’60s and ’70s was impressive, but even amongst its stalwarts, the cerebral Madhu Limaye and the dashing George Fernandes stood out. Lohia’s uncanny instinct could spot and galvanise political energy to fight the degenerating ethos of the Congress party. Key to this was an organised workers’ movement and George Fernandes was the man for this task. George’s march from a seminary in Bangalore to the trade unions of Bombay is legendary. The effortless mastery of Hindi, Marathi and other languages, the ability to forge (and break) alliances and above all, the sheer magnetism that could command lasting loyalty, marked him with a heroism that would endure. It would endure because behind the dazzle and the sparkle lay a core of genuine moral courage. The many physical assaults and spells of incarceration that George suffered unflinchingly in free India gave hope that the spirit of Gandhi had survived the marginalisation of the Mahatma by the Congress. As teenagers, our political baptism was the Emergency of 1975 and George Fernandes was its unmistakable hero. With his amazing contacts, he got wind of it in the evening of June 25, ahead of its declaration at midnight. In an instant, he disguised himself as a fisherman and went underground. My father met him in those days, which I did not then know. As I write, my brother tells me that on one occasion my father got into a waiting car where George was sitting and drove around with him for an hour discussing resistance. They, the men in my family, kept all this exciting stuff from me. But just the thought that George was out and about in those dark days thrilled my young mind. Then, on June 10, 1976, he was caught. So important was his capture to the rulers and their opponents alike, that even the muzzled press could not but broadcast the fact. I myself learnt of it from the ‘Spot News’ stand on Bahadur Shah Zafar Marg and felt that all was now lost. 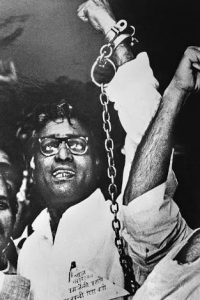 But, George Fernandes in chains proved more potent than a free George Fernandes. Every production in court was turned by him into a political campaign. Holding his manacled hands aloft, he would signify defiance with every gesture. That picture will be my lasting memory of George. That spirit of defiance, the moral force of Jayaprakash Narayan’s leadership and some incidental factors led to the declaration of elections in 1977. Thinking first that it was a ruse for legitimising the Emergency, George and Madhu Limaye argued for a boycott but were wisely overruled. George was in jail during the election campaign. I recall getting off a bus on my way home from college – at a stop just outside 5 Dupleix Road (now Kamraj Marg). That was then the home of Morarji Desai. The days were different and the leaders not behind walls of security. I had only to walk in to meet Morarji bhai. I asked him why he had issued no statement in support of George Fernandes, who was contesting the election from prison. “I do not support violence.” said the man clad in spotless white. Too disappointed and too young to understand the quality of his conviction, I made my way home with a heavy heart. But the people of India were straining at the leash. And George Fernandes was George Fernandes. He “romped home” as per the election lingo of the times, from Muzzaffarpur, Bihar with nearly four lakh votes. The poster of the man in chains had done the trick once again. The great communist leader A.K. Gopalan died just as the election results were coming in. At a condolence meeting on the lawns of Vithal Bhai Patel House, George Fernandes, who had been released that morning, spoke in Hindi. His last meeting with Gopalan had been while underground, and they had both noted how India’s vociferous trade unions had tamely buckled under the Emergency. Ruefully, they concluded that their trade unions had been grounded more in economism than in political ideology. I pass over Fernandes’ initial reluctance to join the cabinet, his later enthusiastic stewardship of the Ministry of Industries and the ouster of Coca Cola – which was replaced by a soft drink christened 77 (Double Seven) by his fellow socialist H.V. Kamath. I also pass over his masterly defence of the Morarji government in Parliament (that I watched from the visitors’ gallery with my friend and George’s brother Michael) – only to join, on the next day, the suicidal bid for mid-term polls. That is oft repeated history. I refer instead to his public stand on political prisoners, and support to the cause of self-determination and human rights even while in power. I refer to this because it makes all the more poignant my grief over his alignment with the BJP and his continued support to it during and after the Gujarat pogrom of 2002. As I told him, during a chance meeting in 2003 at a book release, it made me wish never to speak again with him. “But you are speaking to me now,” he said throwing an affectionate arm around my shoulders – but that was really the last time that I met or spoke with him. “The wrath of the people will be upon you”, George Fernandes had warned members of parliament in a telegram, in the wake of the murder in 1966 of the charismatic tribal leader Pravir Chandra Bhanjdeo of Bastar – engineered, by a powerful politician of the time. My brother reminds me of this. Was it the same George in 2002? Yet, before this, he was my first stop for many of our causes. He addressed a People’s Union for Civil Liberties (PUCL) meeting, as minister in 1978, and spoke in support of Naxal prisoners. I took to him every case for commutation of the death penalty. He was a minister I think when Kartar and Ujagar, the hired killers in the Vidya Jain murder case were to be hanged, while the chief minds behind the murder had been granted premature release. The class bias was shockingly evident. George pointed this out to the president and the cabinet, but to no avail. He campaigned against the unconscionable execution of Kehar Singh in the Indira Gandhi assassination case. And if there is any one reason that two condemned Dalit men are alive today in Andhra Pradesh, that reason is George Fernandes. Innumerable men detained without cause during the conflict years in Punjab were released with his intervention. His initiatives in Kashmir were stymied by a pusillanimous Centre and we are still facing the consequences of that crass insensitivity. Naga, Tibetan, Burmese and other politically targeted activists found a ready refuge in his home, even when it became a ministerial one. His own living quarters were in two rooms. The rest of his sprawling bungalow was home to trade unionists, party workers and human rights activists and their various causes. There was no security paraphernalia and he often drove a battered Fiat himself. His election campaigns were a joy to behold. Indefatigable, eating by the roadside or going without food, his whole being was a political statement. With numerous electoral victories, he was perfectly at home in any part of the country. But the great thing is that, even in defeat, he secured dividends. The fateful Chikmagalur by-election of 1978 brought Indira Gandhi back into Parliament. She had been routed in 1977 chiefly by the North and so chose the safer South for a re-entry. Besides, Karnataka was under Congress rule at the time. George ran the campaign for Janata Party’s Virendra Patil against her. The simplicity of his attire and manners made people frankly incredulous that this man was a minister! He electrified the atmosphere. Though Mrs Gandhi won, George Fernandes had managed to strengthen the Janata Party in Karnataka. I wrote after the Tehelka sting of 2001 that as an expose it was overrated – and flimsy. It was a sham in the face of the daily atrocities that the underprivileged in this country reel under but go unnoticed by the media. None could believe that Fernandes was corrupt. Even Tehelka could allege nothing against him personally. In fact, the armed forces were enthused by his visit to each station in India’s inclement frontiers, and by the unprecedented ministerial attention to their needs of gear and sustenance. The tragedy of George Fernandes was not that he was corrupt but that he had lost himself. I retain the sense of betrayal that such a powerhouse of courage, brilliance and energy should have sided with and attempted to legitimise the BJP, which represents the greatest ever assault upon the idea of India. 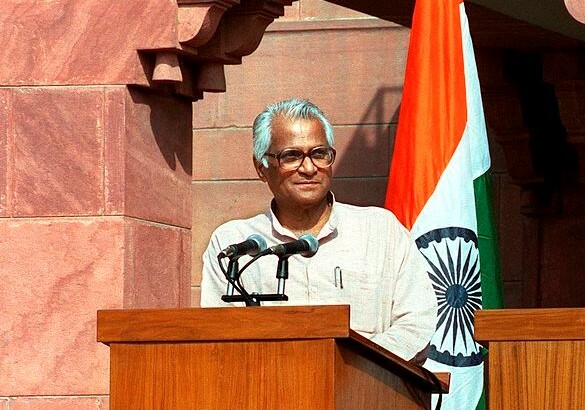 Brilliance and energy are the two words that I will always associate with George Fernandes. My father used to remonstrate with him, saying that his main problem was his energy for he did not seem to know what to do with it. George used to jokingly tell me: “Every day your father calls me with one bit of advice”. I have marvelled at his racing mind and his articulation, both elegant and powerful, and grieve that he is unable to speak any more. My grief at his involuntary silence that is owed now to the collapse of his health is equal to my grief at his deliberate silence that came more than a decade earlier – a silence that was owed to the tragic collapse of his judgment. But while I find it hard to come to terms with the final phase of his political career, in the history of the socialist movement as a whole, George Fernandes will rank as one of the most dynamic associates of the incomparable Doctor Sahib. Nitya Ramakrishnan is a lawyer and The Wire‘s counsel. 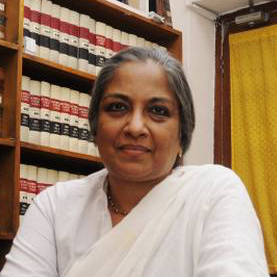 She is representing Jaya Jaitley in the Tehelka case. She is also representing Tehelka in an unrelated matter.